Business Process Outsourcing (BPO) is a time-tested strategy that has helped countless business and government operations remain financially viable. The BPO option is particularly appealing in difficult financial times, but it is also important in a profession such as healthcare. Healthcare BPO companies provide back office solutions that can help overcome these challenges. Healthcare BPO companies understand the current regulatory and business environment facing healthcare and respond with innovative, best-of-breed solutions to help reduce inefficiency, improve operations, and boost revenue. Healthcare BPO companies do this by offering end-to-end administration services with proven performance outcomes that improve key performance indicators in important areas of the organization. 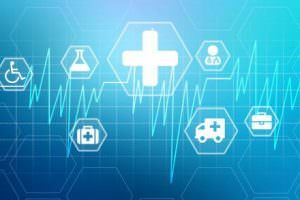 Greater efficiency is perhaps the greatest benefit of healthcare BPO companies. Their efficiency allows healthcare organizations to maximize their focus on patient and provider satisfaction while administrative functions are being expertly managed by experienced professionals. Advanced technology is essential to maintaining a high functioning administrative component in any healthcare business. Constant technology improvements, however, can be costly and do not always provide an appropriate cost-benefit return. Healthcare BPO companies provide the scalable technology upgrades within their own organizations, thereby saving clients the time, effort and expense. Flexibility in healthcare BPO companies means that the ups and downs of patient visits can be successfully navigated without having to worry about human resources concerns. As the healthcare business slows or grows, the healthcare BPO companies provide the appropriate outsourced staffing to accommodate any situation. Healthcare BPO companies deliver the necessary support operations so that physicians and other providers can provide the best possible healthcare services. Whether it is medical coding, billing, transcription, accounting, and more, healthcare BPO companies ensure that administrative services are delivered seamlessly, effectively and efficiently. Services from healthcare BPO companies can help improve stakeholder quality of life by delivering reliable, cost-effective processes that enable them to focus on maintaining and improving patient and provider satisfaction. By leveraging our people, processes, and technology, engaging your BPO services with GeBBS helps reduce operating and capital costs, improve cash flow, boost patient and referrer satisfaction, and increase productivity. Our expert BPO services help you maintain high patient satisfaction and growth goals while meeting the staffing and technology challenges of outsourced coding: As you expand, we provide the people and processes to ensure a smooth path. Discover what makes GeBBS a leader among healthcare BPO companies. For more information, call (888) 539-4282 or visit GeBBS.com to contact us online.